Frequently Asked Questions #22 - YeastInfection.Org by Eric Bakker N.D.
1. My baby has red patches on his neck. What can help with it? Neck rashes are common in babies, especially in babies who have neck folds. A rash on the neck looks red, is flat or raised. Because the skin folds rub against each other, it causes skin irritation. The rashes start disappearing and decreasing once babies learn to move their head without any support. A skin rash that looks raised in nature could be yeast infection. This happens due to excess moisture and perspiration in the area. This gives candida the best environment to grow. Babies with a neck rash will experience pain and itching of the affected area. These symptoms can lead babies to nurse less frequently as they are usually used to. You can help baby by dressing them up in light and breathable clothing. Wash your baby’s clothes baby friendly detergent as the usual detergent can be too harsh on baby’s skin. Coconut oil on the affected area can help with the infection as well due to its anti-fungal properties. Make sure baby’s neck area is always dry. If baby’s rash is accompanied with fever, you may contact his pediatrician to consult further on the nature of the rash. The rash usually disappears on its own after a few days. However, if it doesn’t, once again, consult with baby’s pediatrician to see what other treatments are available. In the meantime, keep baby’s neck area clean and dry to prevent the rash from getting worst, which can cause baby discomfort. 2. I have recurring sinus infection despite leading an active lifestyle. Please help! Chronic sinus infections can be quite alarming. They occur quite often and when they do occur, they last for weeks. With a sinus infection, your face will be in pain, there will nasal discharge and heavy congestion. A fungal sinus infection caused by a candida overgrowth in the body display similar symptoms as a bacterial sinus infection. Sufferers experience fever, coughing, nasal discharge, loss of smell etc. However, what differentiates the two is the length of how long you’ve had the infection for. A chronic fungal sinus infection is long term and more severe. A fungal infection can start off as a bacterial sinus infection. If you treated the bacterial infection with antibiotics, it helped treat your sinus infection. However, it will flare up the underlying yeast infection you may have. The antibiotic just killed most of the bacteria present in your gut and gave candida the opportunity to overgrow in numbers. This can cause further sinus infection with blockage and inflammation and fungal growth in the sinuses. Treating a fungal sinus infection with antibiotics, just as you do with a bacterial infection, is not recommended. Since it’s fungal, candida may be the cause. A sinus caused by a fungal infection may occur if fungal organisms are inhaled. These organisms make home in the nasal passageways causing inflammation. In most cases, surgery is required to get rid of the fungal infection. In some cases, chronic sinus infection can also be treated with antifungals and nose sprays. If you are further interested in this topic, this study published in pubmed goes into details on this very subject. 3. I never had seasonal allergies until recently. Can that happen later in life? If you have never had seasonal allergies before but suddenly started getting them in recent years, they could be due to your gut health, inflammation and stress levels. Research and studies are showing more and more how important gut health is and how important the role of digestion is in keeping things in balance. Seasonal allergies show up as runny nose, itchy eyes, congestion, and lots of sneezing. It can last for a month or more. Candida overgrowth can implicate a weakened and compromised gut health and a probable leaky gut. A compromised gut can lead to sensitive immune system. When the immune system is weak, our bodies can develop seasonal allergies and allergic reactions. When there is chronic inflammation, your immune system becomes overactive and hypersensitive to allergens. This is huge because between 70% to 80% of our immune system is in the gut. To help get rid of candida and restore gut health, include probiotics and fermented food into your diet. 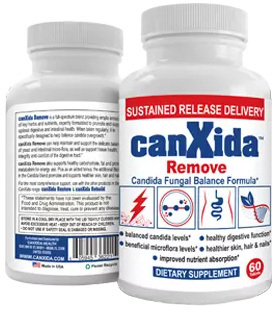 Eat a candida friendly diet. Gluten, carb and sugar can compromise the gut health by helping the growth of candida. Get enough rest and sleep, manage your stress effectively and exercise often. Avoid antibiotics if you can. Antibiotics can kill off the good bacteria in our bodies. 4. Why do I keep getting asthma attacks when I feel anxious? Asthma is an inflammatory disease of lungs. The airways become narrow and swell producing extra mucus. Symptoms of asthma include chest tightness, wheezing, coughing, shortness of breath, etc. While some have mild cases of asthma, others may have serious cases leading to life threatening attacks. It is commonly triggered by cold, air pollutants and irritants, stress, extraneous physical activities, pollen, dust, etc. You are at risk if you are overweight, a smoker, have other inflammatory disease, exposed to fumes or other pollutants. There is now strong evidence that fungal sensitization is related to patients with asthma. This can be diagnosed by doing skin testing with antigens derived from the fungi. There is also a link between fungal sensitization and the severity of asthma. In one study conducted in Germany, researchers found a link between asthmatic patients and fungus. Mild asthma can be controlled with the use of anti-inflammatory and bronchodilator therapy. Following a healthy diet, doing exercises that are tailored to your needs and living a stress free life can help with the prevention of asthma attacks. However, you can further protect yourself from getting an asthma attack by staying away from smoking and those who smoke, follow your doctor’s advice regarding exercising with asthma and avoiding other triggers. Taking care of your body will also ensure that you do not catch colds easily as colds are one of the ways that can worsen your asthma.